You have awesome whiskers, Athena! Love the two at the top that start out black then turn white! I love your whiskers. It used to always surprise me to find one of my cat's whiskers on the floor! They are so long and pointy! LOL! 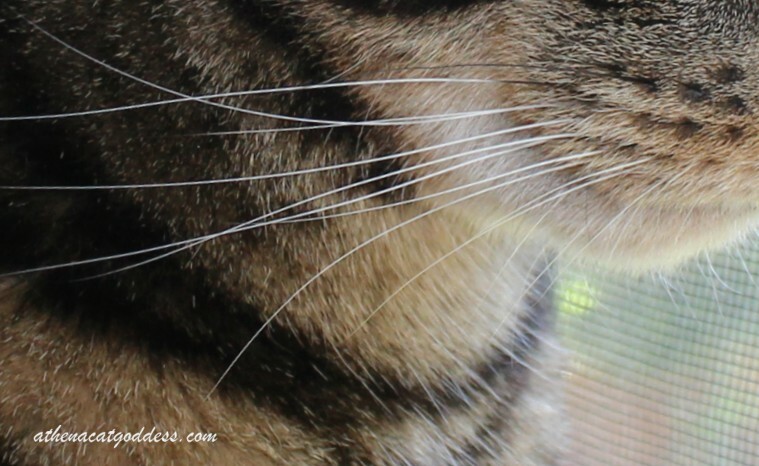 What a fabulous closeup of your fabulous whiskers, Athena! I just love cat whiskers. Every cat seems to have different colors, shapes and sizes. Those are some beautiful whiskers!